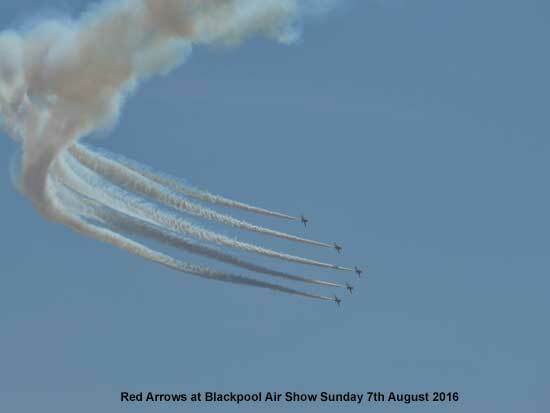 The Blackpool Air Show 2016. 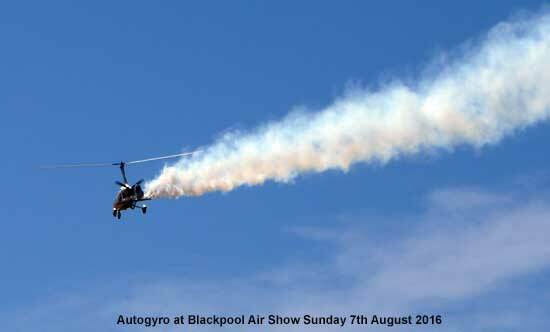 A two day show including Sunday 8th and Monday 9th August. 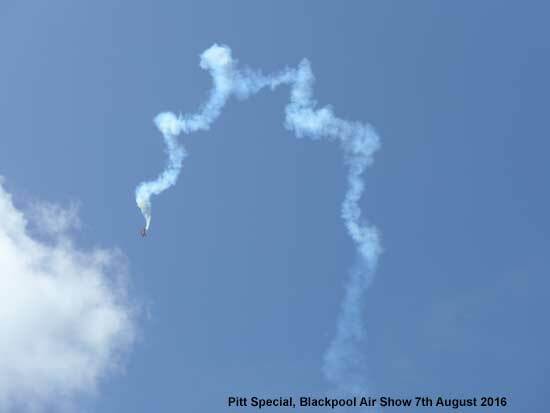 A sunny and breezy day made things more difficult for the aerobatics. 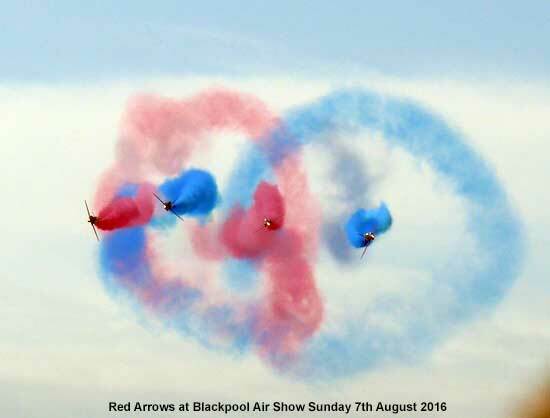 The veteran Battle of Britain Memorial Flight didn't show and one or two others.. As always the RAF gave wonderful displays of the Typhoon and the Red Arrows. 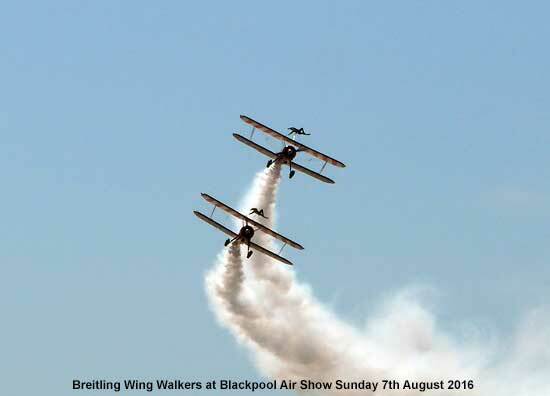 The Breitling Wing Walkers, Pitt Special and more gave great displays. See the list below. 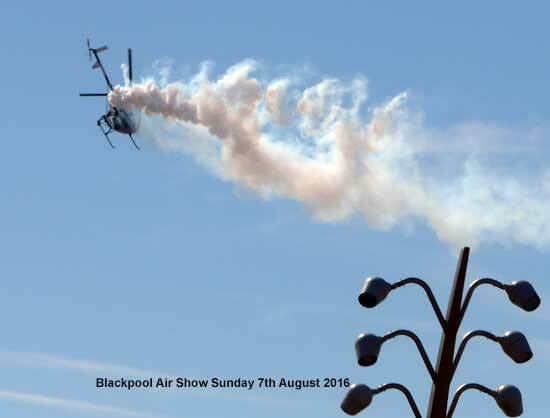 A big crowd were on the promenade, also the tide was in which prevented closer viewing. 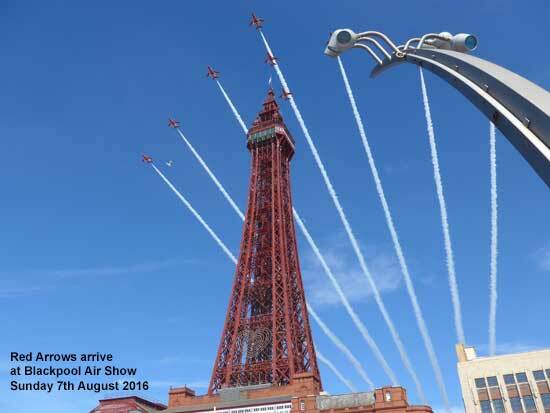 A number of other attractions were positioned including two simulators, Red Arrows and BBMF souvenir stalls. Also a Spam promotion. 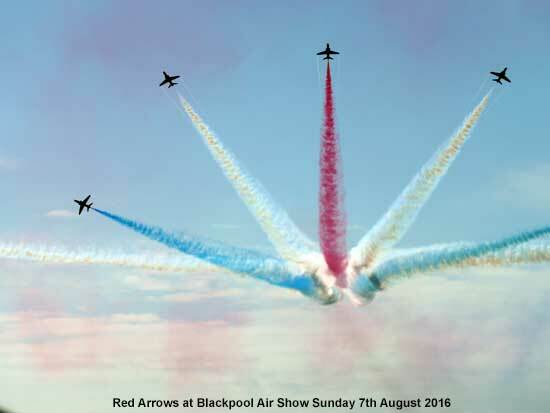 The Red Arrows always come in over the Tower. Never fails to impress. 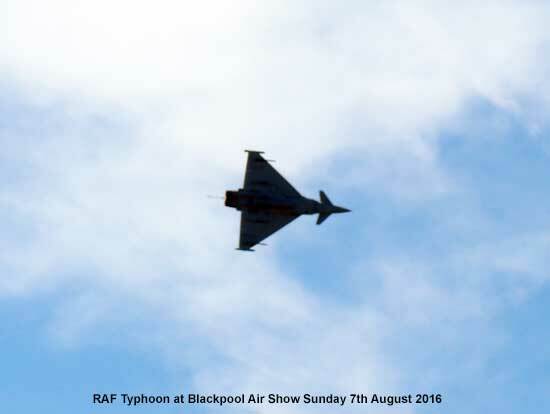 Typhoon, totally terrific. 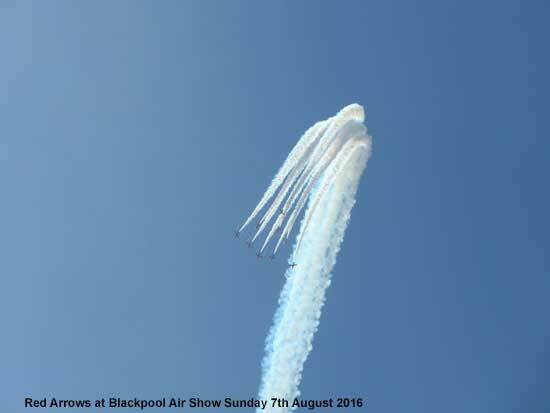 Early in the show, hard to follow with my camera. 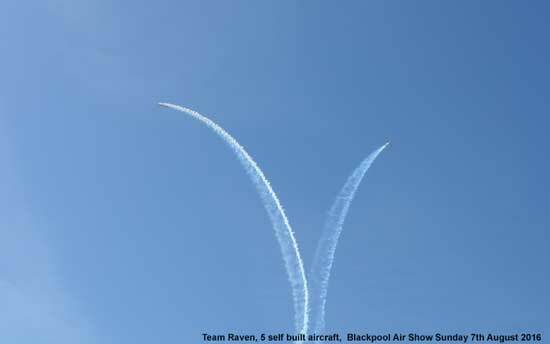 Team Raven with their 5 home made aircraft put on a propellor driven display similar to the Red Arrows. 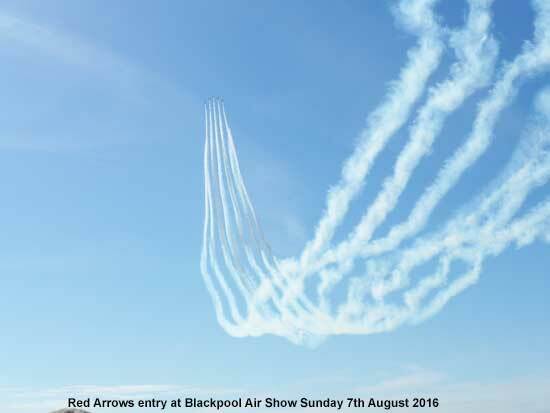 The Red Arrows, what a display! 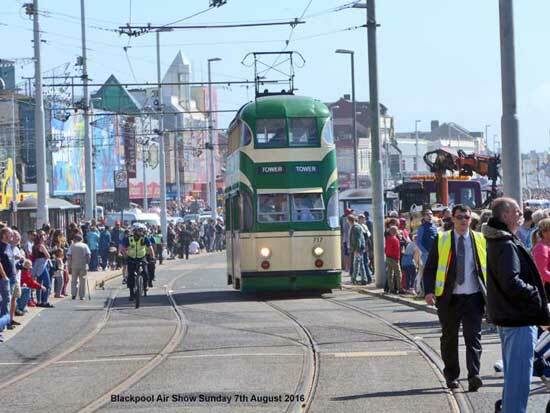 The crowds were spilling from the prom, across the road and on either side of the tram tracks.